Our ability to offer modern, innovative, forward-thinking moving services enables us to handle household goods moves to and from San Diego. We offer a full range of professional moving services for your home and business. And because we see moving as a fundamental work that should be executed with utmost regard, we pay special attention to everything you hold dear and treat your items with care. So whether you are moving for a personal or professional reason, we can help to pack, store, load, unload, and move your goods to facilitate your movement to a new town or state. In addition to providing these top moving solutions, we charge you a small fee to give you more value for your money. Our aimis to provide the best moving experience and make settling down easier for every customer, every time, regardless of location. 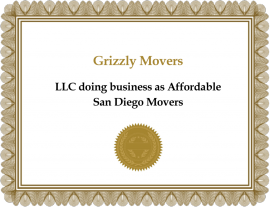 At Affordable San Diego Movers, we provide a broad array of moving services to fit all of our clients’ needs. So whether you are moving out of state, across the street, we can always help with that, as we offer local moves, intrastate moves, and long distance moving services to ensure that you relocate to your new home or office with as less trouble as possible. Complete and thorough knowledge of all job functions: Our experience, skills, and knowledge of the moving process combined with our enthusiastic attitude enable us to make the moving process easier for you. We are licensed and insured: We are fully licensed and insured to offer you the best protection during the move. We have already proven to be a safe and reliable choice for individuals who are looking to move: We are actively involved in moving items across San Diego and beyond. We offer clear and transparent quotes, with no hidden charges: In our effort to provide fair and honest pricing, we provide quotes are accurate and well-explained. We do this by sending a rep to your home or office To make an accurate assessment of your inventory. We have the right boxes and tools for all item types. Well-trained staff: At Affordable San Diego Movers, we recognize that your entire relocation experience depends on the expertise of our staff. As a result, we provide knowledgeable and friendly staff who show interest in your specific needs and a keen desire to help you in any way possible. The workers we send:To pack, load, and unload your items are clean, courteous, and punctual and will do whatever is necessary to handle your valuables with care. We provide a schedule for arrival and departure As well as work out all the other details from start to finish, giving you the opportunity to do as you please. We measure your:Doorways, stairways, and elevators to ensure that items are moved safely. This is because moving becomes much simpler when you have the right tools for the job. With this in mind, we invested in high-quality equipment that is recognized for its efficiency and guarantees optimum operating conditions to ensure our specialists are equipped with the right tools to get the job done successfully. Affordable San Diego Movers boasts quality moving equipment like moving dollies, moving blankets and pads, moving ropes and straps, stair roller, furniture sliders, protective gloves, as well as a toolkit containing essentials such as screwdrivers, utility knife, scissors, hammer, flashlight, screwdrivers, among other tools which are easy to use and service. We have all the critical tools necessary to make a move easier as well as to ensure a safe relocation. In addition to having the right tools, we can stay ahead of the competition thanks to our clean and well-maintained trucks. This is because understand that regardless of the difficulty and complexity of a move, a moving vehicle in excellent condition, one with the right tires, brakes, and runs excellent will help ensure that your belongings arrive their new destination safely and in a timely fashion. Further, we thoroughly clean our moving trucks and equipment after each use so that we may keep your items clean and safe. Affordable San Diego Movers provides only qualified and trained personnel who thoroughly understand the moving process. Our workers use the right packing and moving methods and techniques to provide the best protection for your items. Due to the very nature of their work and responsibilities, our staff undergo extensive training, followed by further internal and external training and development programs to ensure they are aware of your rights and have the capability to plan the move, pack and unpack items and ensure that you safely receive all of your belongings. 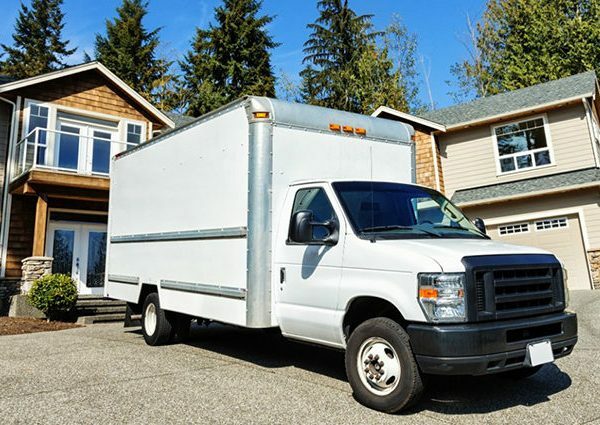 With so many moving companies out there, choosing the best to help transport your belongings from your old property to a new one that happens to be in another state can be a tough choice to make. As a result, we made the choice issue for you by providing you with a licensed company you can trust and afford. So when you hire us for the job, you can rest assured that your move will not only be completed quickly and efficiently, but also that trusted hands are handling all of your belongings. This way, we give you peace of mind, allowing you to focus on more important things. MTR # 0191376 – Household Goods Carrier Permit issued by Bureau of Electronic and Appliance Repair, Home Furnishings and Thermal Insulation (BEARHFTI) and authorizes carriers to complete residential and commercial relocation projects within California. MC # 920877 – Federal Interstate Operating Authority issued by Federal Motor Carrier Safety Administration (FMCSA) and allows carriers to complete relocation projects over state lines; if a company does not have an ACTIVE MC number, that means they are not allowed to cross any state lines in their vehicles USDOT # 2642040 – an identification number for carriers with the US Department of Transportation (DOT); this number shows that a company is in compliance with all federal trucking regulations. Welcome call: In addition to building and maintaining excellent client relationship, we realize that starting on the right foot is key to creating a memorable customer experience. As a result of this, we begin the day by putting a welcoming call through to verify all critical information including address, intersection, as well as where you would want us to pack the truck. Final walk-through: Moving to a new location can be both exciting and stressful. However, we can get our emotions under control and do a final walkthrough of your property to note all items and identify those that require special care. Once that’s done, we pack all of your belongings into a box and load up the truck. After that:We move your items and unload them at your new home or office location, treating your belongings with as much care as possible. At completion:We go through the checklist to ensure every item is accounted for and that everything is in place.